For pricing and configuration, please call 866-205-4112 or 407-926-2303 if calling Internationally. A Voice Professional will Record Your Company Greetings! Enjoy professional voice-over customization for your Panasonic Voice-Mail system purchased from KX-TD.com. 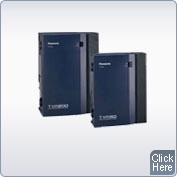 KX-TD.com offers professional voice script recordings, customized for your unique voicemail applications, when you purchase a Panasonic KX-TVA series voice-mail system from us. 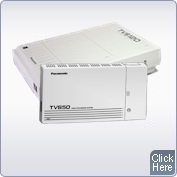 This service is also available for pre-existing Panasonic KX-TVS voicemail users. Already have a voicemail system? This service is also offered to non KX-TD.com customers for the low rate of $99/hr. Call us at (407) 926-2303. Most applications take 1 hour or less.